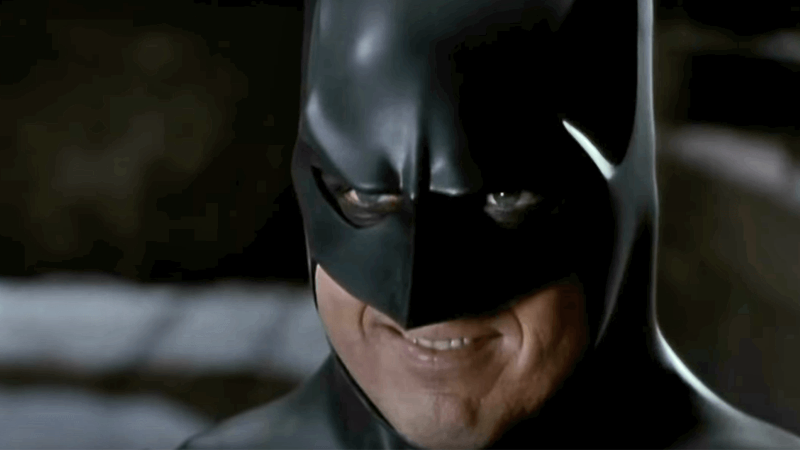 TFW you get a chance to see Batman Returns on the big screen again. Keep your Dark Knights and their rising—this, frankly, is the Bat-marathon we’ve been waiting for. Fathom Events is running a celebration of ‘90s Batmania with a nationwide screening of the four Tim Burton/Joel Schumacher Batman movies: Batman, Batman Returns, Batman Forever, and Batman & Robin—in honor of Bruce Wayne’s eight decades of crimefighting, as well as the timely convergence of it being 30 years since Batman changed the superhero movie game in 1989. Unlike the previously revealed IMAX tour for Christopher Nolan’s Batman trilogy, Fathom’s screenings will be hitting a much wider range of theaters—around 600 in total across the U.S.—but they’re still going to be screening for limited times. Batman will screen at 1 p.m. and 4 p.m. local times on May 4, Returns at 4 p.m. and 7 p.m. local on May 6, Forever at 1 p.m. and 4 p.m. on May 12, and then Batman & Robin rounds out the run at 4 p.m. and 7 p.m. showings on May 14. But I almost wish they weren’t so... tasteful? Tickets are available now, emblazoned with some gorgeous poster art for each film in the event that is both lovingly classy and yet also almost too minimalist for the glorious ‘90s pop-goth aesthetic of these films, which you can see above. They’re great, but I almost wish they were drowned in the aesthetic excess of what made these films both so interesting and also, especially in the latter cases, incredibly bonkers. But it’s nice to see that we’re getting at least an official celebration of this part of Batman’s long cinematic history too!